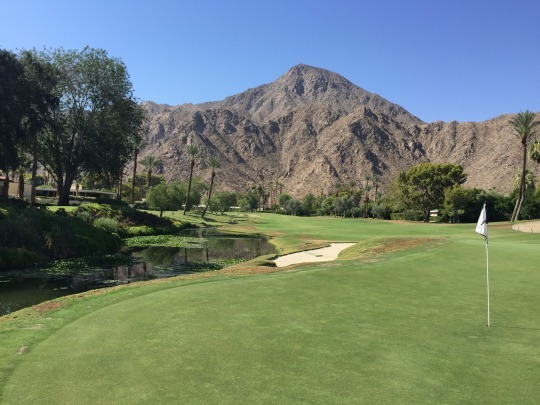 Last week, I had a unique opportunity to play this private club in Indian Wells. 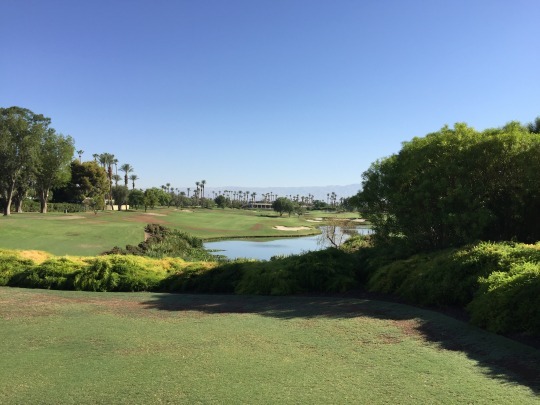 Now that I live out in the desert, I have been aggressively reaching out to the private clubs I haven’t played. With the summer heat and limited member play, I figure it’s my best hope at accessing some of these clubs. I’ve actually gotten a few responses already, so hopefully I’ll have a busy summer out here! 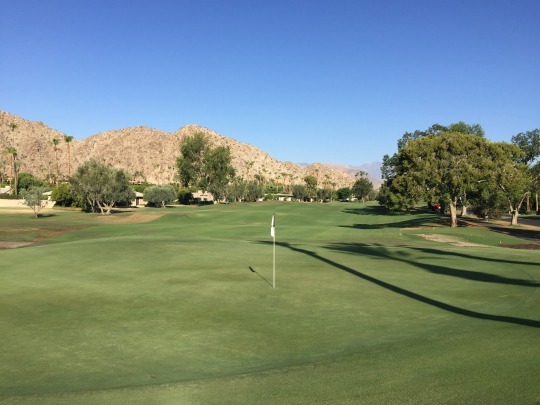 Eldorado Country Club was nice enough to invite me out for a round, and I am very appreciative of that. What made the experience so unique is that the course technically closes down for the summer. 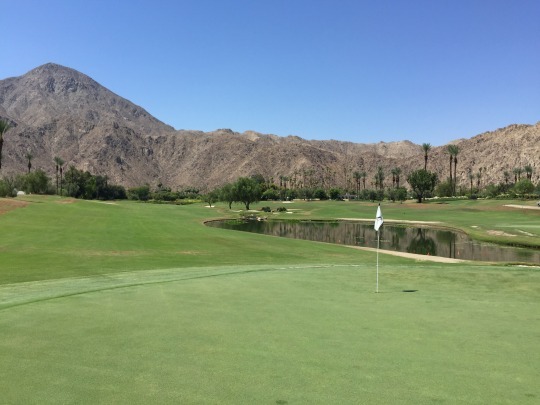 And though this is when they are doing a lot of maintenance, some people (employees and those members who live in the community throughout the summer) will still play the course. It doesn’t get much action, but it’s maintained reasonably enough to be playable. After all, it runs throughout the residential community, so they need to keep it looking somewhat nice throughout the year for the residents. Anyway, I was able to go out there on Friday morning and the few people I encountered were extremely nice. There was an army of maintenance workers out on the course doing great work, so I had to play around them. Otherwise, I was actually impressed with the course conditions, all things considered. More on that later. 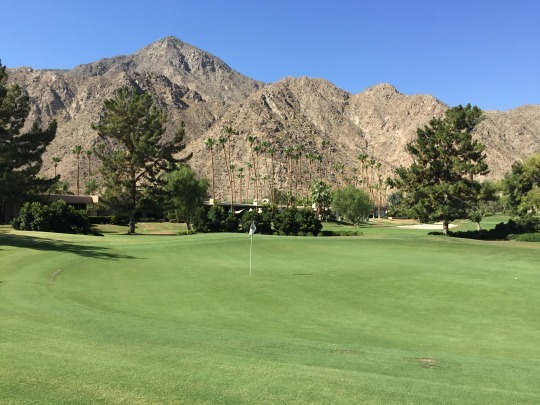 As for the course, it has a great history like so many Coachella Valley courses do. It was opened in the 1950s. The course was originally designed by Lawrence Hughes. The at-the-time-ultra-modern clubhouse was designed by William F. Cody, though that was closed for the season and I didn’t get to peek inside. 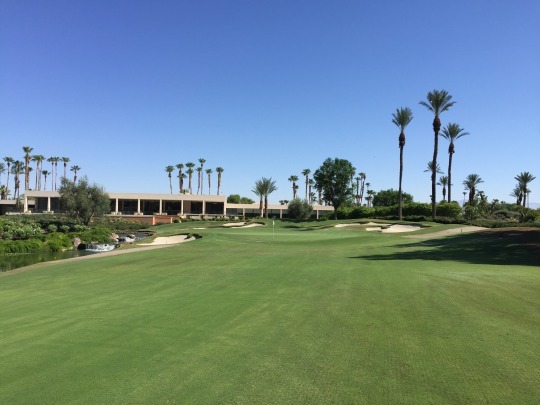 Eldorado actually hosted the 13th-ever Ryder Cup matches in 1959. President Eisenhower was a prominent member among many other luminaries. 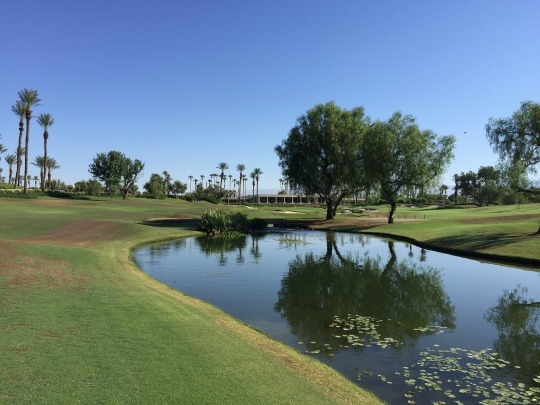 In 2003, renowned golf architect, Tom Fazio was brought in to completely redesign the course. I don’t know how much the layout or routing changed, but it sounds like it was a very significant renovation and a new course was basically built over the old one. There are definitely some Fazio elements in play, though the terrain here is flatter overall than most of his courses that I’ve played. You don’t get quite as much natural undulation compared to something like The Canyons at Bighorn or Rams Hill. The bunkering definitely has a Fazio look. 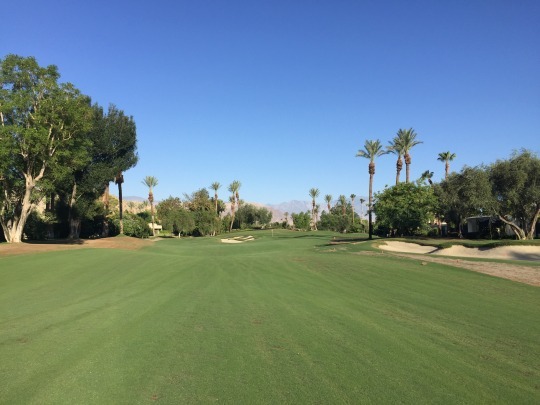 The fairways are pretty wide and forgiving. The greens are big with some undulation, again maybe not as much as I’ve seen at other courses of his. Overall, I would say that the “new” Eldorado was designed to be very player-friendly. 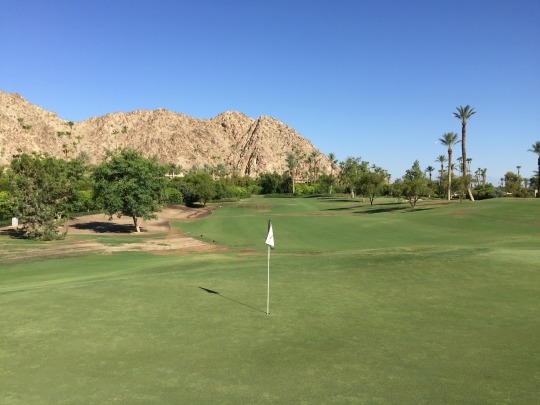 The greens are very accessible (with options to play run-up shots or fly it onto the surfaces on most holes) and the layout won’t beat you up too much. It’s a good balance between not being overly challenging, while not being boring either. The signature hole on the course is undoubtedly the par-3 12th, which is a beautiful-looking hole tucked back into a corner of the property. 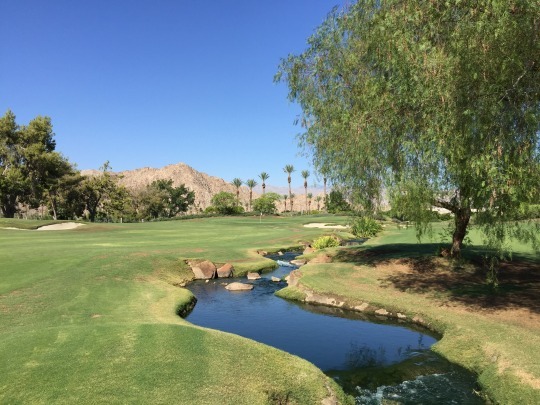 It plays over a water hazard and has a nice landscaped look to frame the mountains behind the green. The 9th and 18th stand out as great finishing holes on each side of the course. 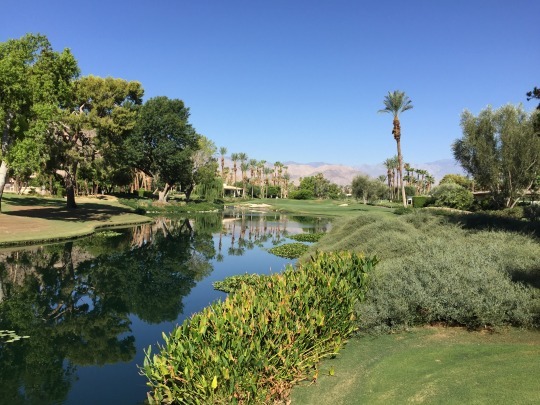 They are kind of mirror images of each other with a water hazard running in between then. 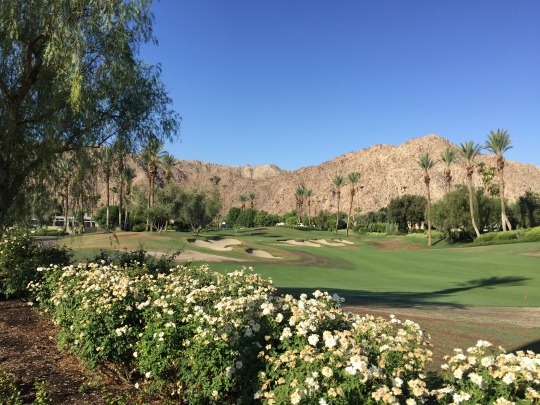 The main difference is that the 9th is a fairly short par-5 that presents a great scoring opportunity. 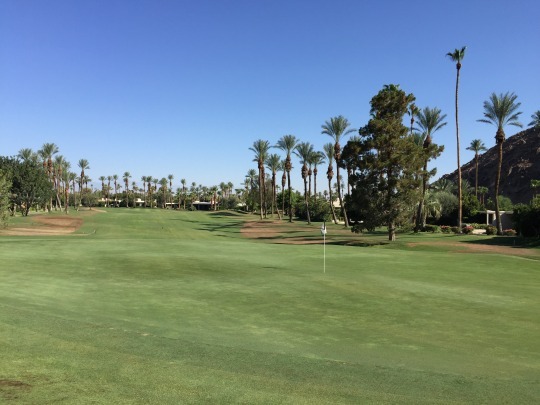 Meanwhile, the 18th is a long par-4 that, for most people, will be one of the most difficult holes on the course (even though it’s only rated as the number 6 handicap hole for some strange reason). I personally liked the 17th hole a lot, as well, and that’s not just because it gave me my only birdie of the day the first time through. Yes, I ended up playing it twice! This is another short par-5 (only 494 yards from the back tees). 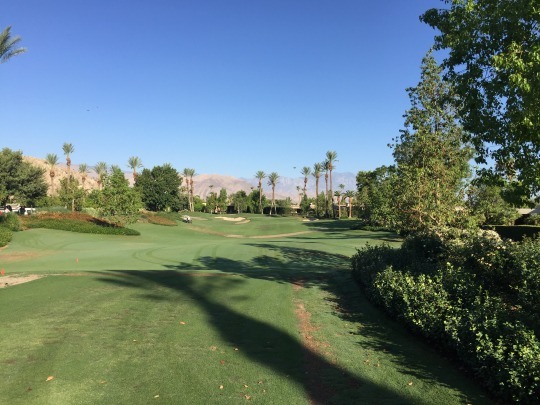 The tee shot gives you a variety of options as there is a creek running down the right side of the fairway. 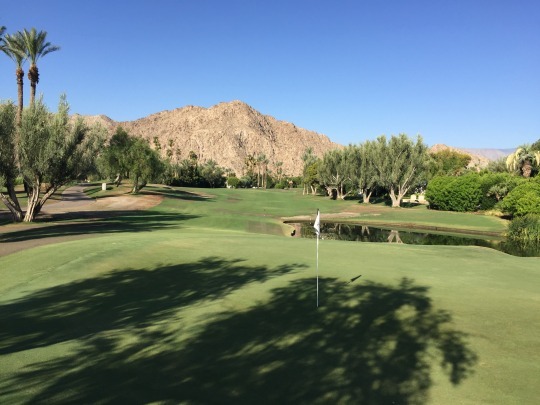 With the risk comes the reward because a good tee shot will likely lead to a eagle or birdie opportunity. As for conditions, I won’t spend too much time on those. Frankly, I am so grateful they allowed me to come out and play that it’s easy to overlook any issues. That said, it was much nicer than I expected and I could clearly tell how gorgeous this place must be during the peak season. The only issues during my visit were really just maintenance related. There was some spot sanding and fertilizing in the fairways. The rough was mostly sanded and best avoided. I just played any sanded areas as GUR to avoid doing more damage to the turf base. 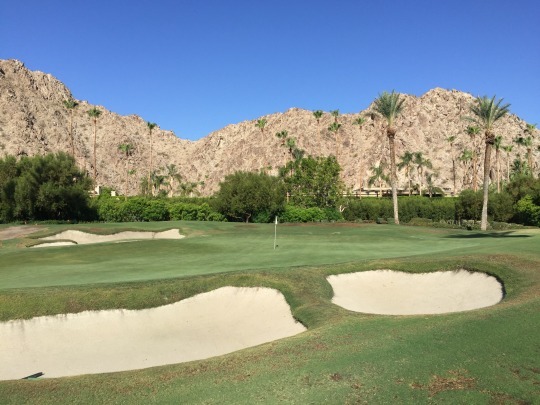 Otherwise, the tee boxes were exceptional. There were no tee markers out, so I just played from the blue plates. The greens were also fantastic. They were extremely firm and hard to hold, but the surfaces were very pure. 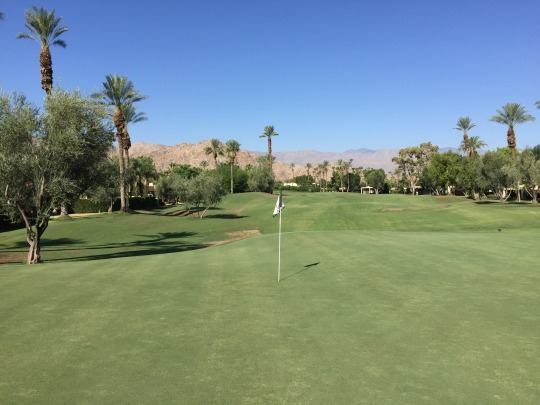 With the firmness and hardly anyone playing this time of year, there were no ball marks to be found (or made). Putts were rolling smooth at medium speeds. Given the circumstances, I couldn’t ask for much more than I got. And, like I said, I’m sure this place will be looking absolutely amazing when winter rolls around! 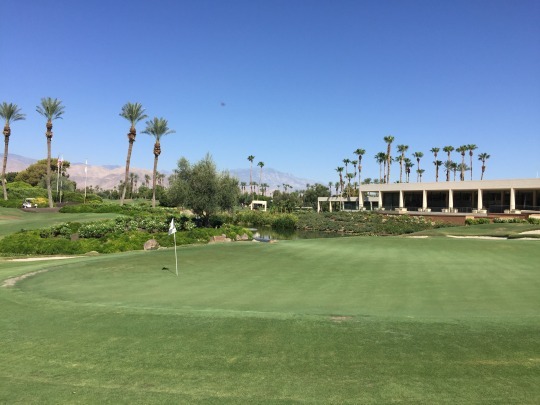 I probably don’t put Eldorado at the top of my list when it comes to Coachella Valley private club rankings, but it falls in that second tier along with many other great desert courses. 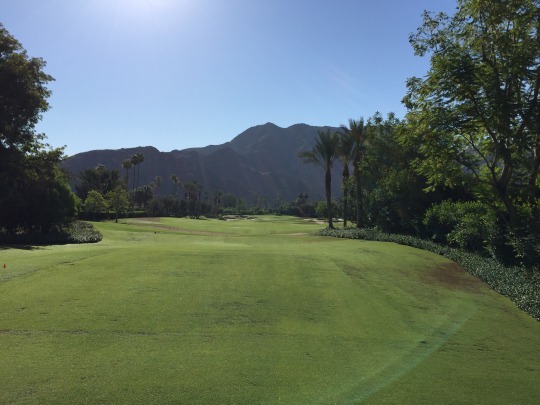 I hope to be able to play it again someday in peak condition, but I got everything I could have hoped for in my special offseason rounds there last week.